The Fall 2018 class of Appalachian Regional Healthcare (ARH) Scholars includes students from all over the region, in various stages of life with one common goal – to make a difference in healthcare throughout Appalachia. Twice a year, students from across the region are invited to apply for the ARH Scholars program. Recipients are awarded a $5,000 academic scholarship to pursue a degree in healthcare. Brooke Benton grew up in a small town called Jackson in Eastern Kentucky. She completed her undergraduate studies at Transylvania University where she studied Chemistry and Classics. She is currently a 4th year medical student at the University of Pikeville Kentucky College of Osteopathic Medicine. Before entering medical school, Brooke served as a college and career counselor at Jackson City School and a high school chemistry and physics teacher at Breathitt County High School in Jackson. While she loved Lexington, she decided to return home for medical school to be closer to family, friends and the community she loves. She originally decided to pursue medicine after attending a health careers summer camp at the University of Kentucky. Entering medical school, Brooke had the option to complete coursework to become a Doctor of Medicine (MD) or a Doctor of Osteopathic Medicine (DO). She ultimately chose the Osteopathic path which focuses on treating the entire body and mind rather than just the physical body. This concept of treating the entire body and using a more holistic approach to healthcare intrigued Brooke. She has always had a passion for science, but as she began working more with patients, she developed a passion for the personal aspects of healthcare. Brooke has had several mentors throughout her life including her mother and two women who have served as examples in the medical field. 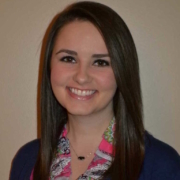 Since entering medical school, Brooke has had the chance to complete clinical rotations all over the country. This has allowed her to gain experience in various hospital atmospheres preparing her for anything she faces as a physician. She was completing her rounds during a shift at the University of Kentucky when she learned she had been named an ARH Scholar. After completing her residency, Brooke plans to return to Eastern Kentucky to practice as an OB/GYN. She is excited to offer care to women and their families, some of whom only ever visit the OB/GYN for care. Her heart is in the Appalachian region with the community she loves. She believes if the people in her hometown need her, it does not make sense to go elsewhere to practice. Lauren McCurry is setting out to give a voice to those who cannot speak for themselves. Originally from Harlan County, Lauren graduated from Harlan County High School as valedictorian. She is now an honors student at Western Kentucky University (WKU) studying Communication Sciences and Disorders. School and community involvement are very important to her as she is the finance assistant of Alpha Delta Pi Sorority, and a member of the National Student Speech Language Hearing Association (NSSLHA), the American Sign Language Organization (ASLD), Omicron Delta Kappa National Leadership Honor Society, Christian Student Fellowship, and Circle of Sisterhood Foundation. There have been several influences in Lauren’s life that sparked her interest in the medical field. Both of her parents are healthcare professionals whom she says instilled strong work ethic and dedication to everything she does. In addition, her brother was born with profound to severe lateral hearing loss. She says he has had a major impact on her life and inspired her to enter this field of study. Lauren gushes about her mother, Terry McCurry, emphasizing what an incredible person and healthcare professional she is and how she has impacted her life in ways she cannot even express. In addition to her family connections to the healthcare field, Lauren has had the opportunity to work closely with Gail Murray, a Speech Language Pathologist (SLP) for ARH. Lauren originally heard about the ARH Scholars program through her mother. As an ARH employee, Terry receives an email newsletter where she saw an ad about the program. Lauren was ecstatic and a bit shocked when she found out she was a winner. After graduation Lauren says she plans to return to her hometown, Harlan, Kentucky, to provide healthcare services to the Appalachian community. Lauren is beyond thankful for the opportunity to become an ARH Scholar and hopes to one day make the same type of impact ARH is making in Eastern Kentucky and Southern West Virginia. Sarah Hoskins grew up in a family full of medical professionals. From a young age her family instilled the importance of working in the healthcare field and the impact they make every day. Her mother, great aunt and cousin all work for ARH. It’s only fitting that Sarah carry on her family’s ARH connection as an ARH Scholar. “I have a lot of family members who work at ARH, so growing up seeing them helping so many people and enjoying their jobs really inspired me to do the same,” she says. She graduated from Belle County High School and is now a sophomore nursing major at Lincoln Memorial University (LMU) where she is also on the cheerleading team. 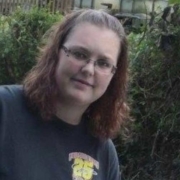 She is from Middlesboro, Kentucky, where she lives with her father who is a teacher at Yellow Creek School Center, her mother who works for Middlesboro ARH, her brother, and their poodle named Pepper. Spending her entire life in the Eastern Kentucky area has fostered a passion for the community she calls home. Sarah originally learned about the ARH Scholars program from her mother. She saw a flyer for the program posted at Middlesboro ARH during one of her shifts and encouraged Sarah to apply. Aside from her family’s extensive medical field background, Sarah’s passion for nursing was sparked after a deeply personal experience with an incredible team of nurses. Sarah is excited for the opportunity to make a lasting impact in Eastern Kentucky. After her graduation in 2021 she hopes to obtain a position as a registered nurse, possibly with ARH. She says she is open to furthering her education to become a Nurse Anesthetist and is excited to see where her career takes her. Nancy Dye has always been an incredibly driven individual. At the age of 16 she was able to begin college early as a student at Big Sandy Community and Technical College where she studied nursing. In fall 2017 she began working for McDonald’s where she says she grew a lot as a person and became more independent. By the age of 18 she graduated from BSCTC, something she says she could not have done without the support of her family. She is excited to begin classes at University of Pikeville this fall pursuing a RN-BSN degree. Her anticipated graduation year is 2023, but she is debating returning to obtain her Master’s Degree. Nancy says her mother has served as her biggest mentor throughout life and her career. She has served as a constant source of encouragement through every stage of Nancy’s life. Nancy learned about the ARH Scholars program through Facebook. She is very thankful for ARH’s efforts to spread the word about this scholarship program to inform the largest number of potential applicants possible. Nancy is excited to begin this journey toward completing her nursing education and making a difference for the people in her community. Nancy clearly has a passion for nursing. Through her education and training she hopes to become the best nurse she can be, offering care to those who truly need it. Connor Leisge grew up in Harlan County, Kentucky, and he’s setting himself up to give back to that same community. He’s currently enrolled in the College of Dentistry at the University of Kentucky (UK). Connor decided to pursue the medical field in high school after his positive experience with the nurses and doctors who cared for him during a long hospital visit. Overall, Connor spent 33 days with the medical staff. While many might choose to focus on the obvious negatives of a lengthy hospital stay, post-major surgery, Connor was simply grateful for the caregivers and medical staff who encouraged him daily on his road to healing and recovery. Pursuing higher education in healthcare has always been a goal of Connor’s and he’s thankful to ARH for helping him along this path. His biggest inspiration comes from his grandfather, who instilled in him the determination to pursue this goal. This motivation to make higher learning a priority led Connor to dentistry, a field he described as the obvious career path to follow. Connor found out about the ARH Scholars program through his girlfriend, who is also an ARH Scholar. When he found out he won, Connor was delighted ARH valued his determination to give back to his hometown in Harlan through volunteerism and the dental services he hopes to one day provide. So far on his route to becoming a dentist, Connor has volunteered with Mission Lexington, an organization dedicated to giving dental care to Lexington residents at or below the poverty line. He’s also worked with children as part of the dental program at UK, which is important to him, as he wants to act as an inspiration to the future generation of Harlan County. 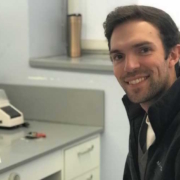 Connor eventually intends to open his own practice in Harlan County, with a mission for his practice to be a positive force in both the community and the medical field overall. 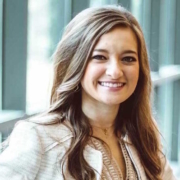 Hannah Busroe was born and raised in Harlan County, Kentucky, surrounded by a family with deep roots in the healthcare field. Her grandfather on her mother’s side, Dr. Albino Nunez, worked for Harlan ARH after immigrating to the United States from the Philippines. After earning his degree in the Philippines, his family pulled together the money to send him to New Orleans to live the American dream. There he met his wife, Hannah’s grandmother, and together they moved to Appalachia. Hannah grew up down the street from her grandparents where her family would have Sunday dinner full of conversation about community involvement and their careers in healthcare. This experience sparked her interest in the medical field and she began exploring opportunities by working in her mother’s pharmacy. Hannah initially attended the University of Kentucky (UK) to obtain her undergraduate degree in Human Health Sciences with a plan to later study Pharmacy. After shadowing a Pharmacist through a program at UK, she realized it was not the career path for her. 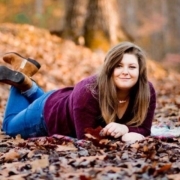 Knowing there was a slim chance she would receive early acceptance, Hannah applied for the Optometry program at the University of Pikeville (UPIKE) before completing her undergraduate studies at UK. 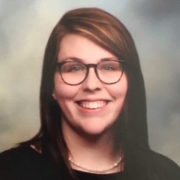 In July 2018, she began the Optometry program at UPIKE and is set to graduate in May 2022. She is excited to study something she is truly passionate about at a university that allows her to stay close to home in the community she loves. After just about six months in the program Hannah has been immersed in the world of optometry through mission trips to Jamaica and Guatemala. These experiences have allowed her to see the kind of impact she can make through her work. In addition to seeing the impact of optometry through hands-on experience, Hannah has a family connection motivating her. Her grandfather on her father’s side is going blind from Macular Degeneration. Seeing the impact that has had on his life motivates her to work hard in her program to help prevent those sorts of conditions. When she received the news that she was chosen as a Fall 2018 ARH Scholar, Hannah was extremely excited. Her application was a very quick turnaround as she learned about the program just one week before the application deadline. After graduation Hannah is unsure of what her next step will be. She is interested in continuing her education to allow her to offer services beyond comprehensive exams. Regardless of her decision, she plans to return home to Harlan and eventually open her own practice. Zachary Grimmett is a Belfry, Kentucky native and Belfry High School graduate. He is currently attending University of Charleston School of Pharmacy (UCSOP) while working as a Pharmacist Intern at Tug Valley ARH. In this role Zachary is gaining experience with both inpatient and outpatient pharmacy work. This means he gets the opportunity to work on the hospital floor and in more of a traditional pharmacy setting. Before beginning this journey, he worked at Food City grocery store where he learned basic customer service skills that he has carried into this new career. Zachary has always had an interest in the medical field. However, he was first introduced to pharmacy after taking part in the medical exploration program that Tug Valley ARH hosted at his high school. Motivated by the potential impact he can make, Zachary is excited to continue his career in Pharmacy after graduating from UCSOP in May 2020. He is lucky to have a great support system in his family and friends. Aside from his family offering insight into the medical field, his close-knit friend group supports each other through every endeavor. 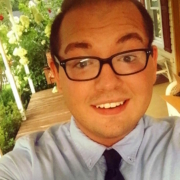 As a first time ARH Scholars applicant, Zachary was ecstatic to learn he was a recipient. He is thankful that ARH sees the value in offering programming like this to encourage people in the community to pursue an education and career in healthcare. While Zachary is not completely sure what path he will take after graduation, he’s excited to serve his community regardless of his decision. He is interested in continuing his education to obtain board certification in both pharmacotherapy and critical care. These certifications will allow him to offer an even higher level of care to his patients. 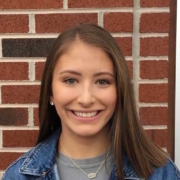 Cheyna McCoy is excited to be the only high school student named a Fall 2018 ARH Scholar. As a senior at Leslie County High School she is extremely involved in school taking AP and college credit classes and running track. In her free time Cheyna loves to read, listen to music and explore the beautiful hiking trails around her hometown of Hyden, Kentucky. She says she has always had a passion for caring for and being there for others in a time of need. This passion is what originally sparked her interest in the medical field. After graduation in May 2019, Cheyna plans to attend the University of the Cumberlands to study Psychology. Like many other ARH Scholars, Cheyna is excited to use her skills to give back to the community she calls home. Throughout her life, and as she enters her college career, Cheyna says her family have served as her biggest mentors. She wouldn’t be in the position she is today without their constant love and support. “They have always encouraged me to be the best I can be and pushed me to beat my limits,” she says. She has already started flexing her healthcare muscles by volunteering with a local nursing home where she spends time with residents, talking and singing with them. She even takes the time to send the residents cards for special occasions and holidays. She was very excited after learning she had been named a Fall 2018 ARH Scholar via an email from ARH Scholars Program Coordinator, Danya Anderson. Cheyna is excited to continue making an impact in her local community through her work. After graduating from the University of the Cumberlands she hopes to begin working as a clinical psychologist and work her way up to Psychiatrist. Through this work she will help patients by identifying, treating and preventing mental disorders and issues. “I hope to help the people of Appalachia fight for better lives that they deserve,” she says. The Fall 2018 class of Appalachian Regional Healthcare (ARH) Scholars includes students from all over the region, in various stages of life with one common goal – to make a difference in Eastern Kentucky healthcare. Sasha Engle has been working toward this goal for over 10 years and is now pursuing a nursing degree as part of the partnership between ARH and Galen College of Nursing. Sasha was born and raised by her father and grandmother in Linefork, Kentucky just outside of Whitesburg. Her father taught her the importance of hard work and dedication at a young age. Unfortunately, her father lost his life working as a coal miner when she was young, but his lesson prevailed throughout her life. Sasha has worked hard for everything she has accomplished in her career and life. Starting in the food service industry at the age of 16, Sasha has worked her way up – and she’s not done yet. She says her family and community serve as motivation as she grows in her career. She has been married to her husband for 10 years and they have two children, an eight year old girl and three year old boy both born on the same day. Sasha is now one of 10 students throughout the 12 ARH communities named a Fall 2018 Appalachian Regional Healthcare (ARH) Scholar. This award will allow her to continue her pursuit of making healthcare more accessible throughout Eastern Kentucky. As a first time applicant, she was ecstatic, proud and admittedly a bit shocked when she received the news that she was a recipient. Sasha is grateful and excited for this opportunity and the doors it will open for her career. Once she graduates from Galen College of Nursing in October 2019 she hopes to continue working for ARH. Ultimately, she plans to obtain her BSN in the future. The Director of Corporate Projects, Trena Hall is one of the main players in the expansion of ARH throughout eastern Kentucky and southern West Virginia. Her 40 plus years at ARH have fostered a passion and commitment to fulfilling the organization’s mission. Trena’s journey with ARH began as a nurse at Whitesburg ARH Hospital, where she spent the first 13 years of her career. Her work ethic and success as a nurse prompted ARH leadership to promote Trena to a management role. From there she took on several other leadership roles, including Assistant Director of Nursing, Assistant Administrator and CEO at Hazard ARH Regional Medical Center and CEO of McDowell ARH Hospital. She has implemented a number of programs and key services during her time at ARH including the Open Heart Program, Inpatient Rehab Program, and Cancer Center in Hazard. There is a strong sense of camaraderie among the employees of ARH. Many of the women in leadership, including Trena, said their favorite thing about ARH is the people they get to work with every day. Trena recalls an instance when she was out in the community and an individual she cared for during her time as a nurse recognized her. This encounter illustrates the amount of impact healthcare workers can have on a daily basis. Trena’s career success is, in part, due to her parent’s encouragement throughout her life. They served as her biggest mentors because of their optimism, encouragement, and determination. Trena passed along this same sense of perseverance to her children, and now her grandchildren who are nine and 14-years-old. When she is not working Trena loves to spend time with her kids and grandchildren at the lake, a place she says they stumbled upon almost by accident. ARH is something like a family business for the Hall’s. 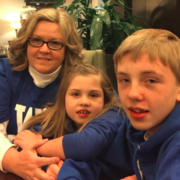 When her son was hired as Assistant Administrator at Middlesboro ARH Hospital his family moved to accommodate his career change. Trena says they would travel through Powell Valley on their way to visit and fell in love with the lake and surrounding area. Although her son has since been promoted, Trena and her husband continue to visit Powell Valley every chance they get.